This is part 2 in our series on the Holy Spirit – Gifts of the Spirit. In this post we’ll talk about the cessation of spiritual gifts. 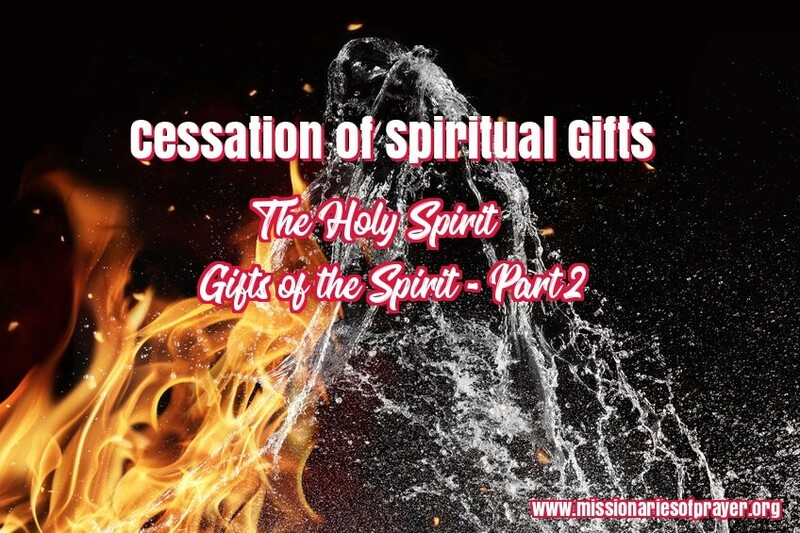 I don’t think we can continue this series without exploring this topic since there are many churches that believe the gifts of the Holy Spirit have ceased in the body of Christ as well as some of the offices like Apostles and Prophets. You can read part 1 of this series here and I am advising that you do so as you won’t be able to activate or pray into receiving these gifts until you get the foundational teaching in part 1. There are 4 passages in the bible that talk about spiritual gifts and I want to share them with you in a way that you may not have heard it before. Well, let’s just say I’ve never heard anyone teach it like this before so I am going to show it to you as the Lord showed it to me when I was studying the gifts years ago. If you read part 1 of the series you’ll learn that your salvation involved the Trinity. Likewise, your spiritual gifts involve the Trinity as well. As a born again believer in Christ you should be able to see that you actually have one of the gifts in each of these passages. One from the list of the Father, one from the Son and one from the Holy Spirit. The scripture on the administration of the gift tells you how to use it. 6 God’s marvelous grace imparts to each one of us varying gifts and ministries that are uniquely ours. So if God has given you the grace-gift of prophecy, you must activate your gift by using the proportion of faith you have to prophesy. 7 If your grace-gift is serving, then thrive in serving others well. If you have the grace-gift of teaching, then be actively teaching and training others. 8 If you have the grace-gift of encouragement, then use it often to encourage others. If you have the grace-gift of giving to meet the needs of others, then may you prosper in your generosity without any fanfare. If you have the gift of leadership, be passionate about your leadership. And if you have the gift of showing compassion, then flourish in your cheerful display of compassion. 14 Then we will no longer be immature like children. We won’t be tossed and blown about by every wind of new teaching. We will not be influenced when people try to trick us with lies so clever they sound like the truth. 15 Instead, we will speak the truth in love, growing in every way more and more like Christ, who is the head of his body, the church. The Spirit gives to one the gift of the word of wisdom to another, the same Spirit gives the gift of the word of revelation knowledge. 9 And to another, the same Spirit gives the gift of faith. And to another, the same Spirit gives gifts of healing. 10 And to another the power to work miracles. And to another the gift of prophecy. And to another the gift to discern what the Spirit is speaking. And to another the gift of speaking different kinds of tongues. And to another the gift of interpretation of tongues. 11 Remember, it is the same Holy Spirit who distributes, activates, and operates these different gifts as he chooses for each believer. From this scripture we see that the gifts mentioned are given by the Holy Spirit and He is the one who chooses what gift each believer should receive. We don’t do the choosing, He does it for us. This scripture shows how you administer the gift. You are either serving (service gift) with it or you are speaking with it (oratory gift). As an example, from the list of the Father (Romans 12:3-8) if your gift is serving which is hospitality then this is a service gift you will be helping others behind the scene. However if you have the gift of prophesy that is an oratory gift so you are going to be speaking. These are 2 different ways in which each gift is administered. Another gift of the Father which is giving is a serving gift and not an oratory gift. Dr. Charles Stanley – (Father) He has one of the greatest teaching gift I’ve seen. He is very clear in how he presents information. (Son) He’s a pastor and again a teacher. (Holy Spirit) Do you know someone else who operates in a word of wisdom more than he does that’s on television? His wisdom gift is on display every week. He’s awesome. Joel Osteen – (Father) Do you know of anyone who walks in a gift of encouragement more than he does? I don’t. (Son) He’s a pastor and a teacher. (Holy Spirit) He speaks in tongues. Just as I took the gift passages and showed you them in operation in someone that we see publicly, you should be able to see the same thing in your life. It doesn’t need to be just one gift from each grouping you can walk in more than one from each. The main point that I am making here is that your gifts as your salvation comes from the Father, the Son and the Holy Spirit. I also want to point out that even though these are the passages that speak specifically about spiritual gifts, these are not the only gifts in operation in the body of Christ. If you read through the old testament there are many other. Samson had supernatural strength. Joseph interpreted dreams. Therefore, there are other gifts. 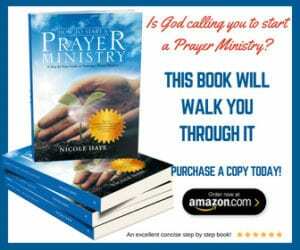 Have the gifts of the Holy Spirit ceased? Of course not! The word of God says that those who worship Him must worship in Spirit and in Truth. That is the Holy Spirit and the Word of God. So if you eliminate the Holy Spirit what you have done is created a man-made doctrinal, lack lustre religion…with no power! There are still many people today who have and operate in the gift of miracles, raising people from the dead. Gifts of healing. It’s still happening today! This is very much alive and well in the church. What happens is many of us stifle the Spirit of God when He starts moving and manifesting in ways that does not line up with our church doctrine. And so, it stops. Because the Holy Spirit is a gentleman. He’s not going to force Himself on anyone. If you have told yourself that these gifts ceased, that’s why you have no manifestation. So, if you decide today that you do in fact want to know if this is real your first step is to repent for quenching the Spirit of God and ask Him to reveal the gift in you. Then be open to seeing it. Ask Him to break that doctrinal ceiling over your head that is stopping you from seeing this truth. Because your denominational beliefs and doctrine can create a box around you that will limit how God will show up in your life. I know that we want to have order in our church but you have to be prepared that when the Holy Spirit shows up things might not look so orderly and pastors have to be willing to yield to the Holy Spirit and give up control. Have you ever been in church service worshiping and felt like you didn’t want the praise and worship to end because it was just getting so good? Why are we so afraid to come off of our schedule and give up control? Would it be so bad if one Sunday we just went totally off script? Can you imagine what would happen if we decided one Sunday to give over control to the Holy Spirit just to see what would happen? I visited a church a few times and their service is usually 1:30 minutes long. One Sunday the worship was ecstatic (no other word to describe it), the pastor told them to keep singing. We worshiped for 2 hours 45 minutes with no sermon and no one left and no one complained either. The truth is when it is the Holy Spirit everyone will see and feel His presence and no one is going to complain about that. Now, here are some scriptures to support the point that the Gifts have not ceased. Gifts are given so we can help other people, are there still people who need healing? Yes! So why would God stop the gift? Ephesians 4:12 “Their responsibility is to equip God’s people to do his work and build up the church, the body of Christ. 13 This will continue until we all come to such unity in our faith and knowledge of God’s Son that we will be mature in the Lord, measuring up to the full and complete standard of Christ. For the full meaning of the word Apostle along with all the scripture references, you can read it here. We will never come to completeness until we get to heaven. God’s children, as long as they are in this world, are still growing into the fullness of Christ. This will never cease. Therefore; none of the gifts will cease! In our next post I’m going to share on the Gift of Discerning of Spirits. I hope you learned something here that will encourage you to go after the Holy Spirit and seek to know Him fully. Leave your comments below.